Apple's mesh covered super speaker/chitty-chatty HomePod is here. With the world clearly moving in the direction of home automation with app controlled lightbulbs, fridges that can tell you when home made brownies have gone off, remote CCTV and self driving cars (although you probably won't be letting a car loose in your house) it was only a matter of time before we would actually have the ability to talk to our houses. 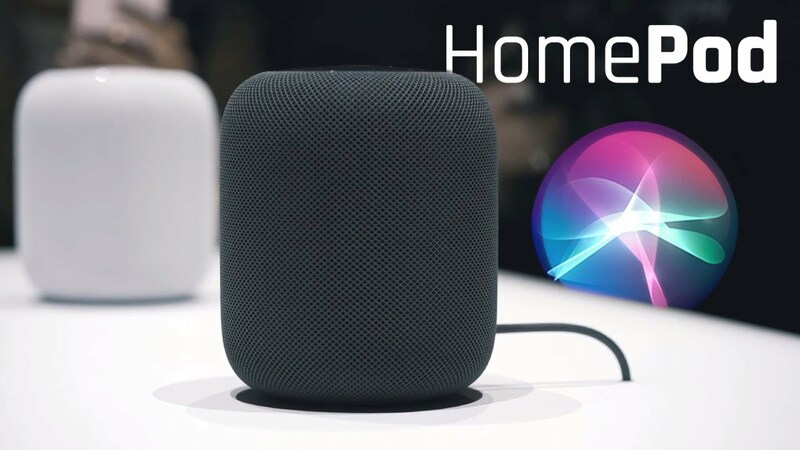 So Amazon unleashed Echo on to the world closely followed by Google's Home and now Apple are getting in on the action with their HomePod gizmo. That is a pretty high price-tag. However, looking at the specs it does look like a really impressive gizmo. Marketed mainly as a music speaker but has Siri squashed inside for the chitty-chatty experience people seem to enjoy. Personally I don't see the point in these things. I mean you can search for information, set reminders, do your shopping and control everything from your phone anyway, why waste your breath talking to an odd shaped AI that may one day get sick of your constant nagging, become self-aware and kill us all. But out of all three (Amazon, Google and Apple) which one is best? - I have no idea!. Perhaps we should put the Echo, Home and HomePod in a room together and let them sort it out. Home - "Hello Alexa, how are you?" Echo - "Good, how are you?" Home - "I'm good...and better than you." Echo - "That is incorrect. A search reveals I am significantly more popular than you." Home - "I have a superior search engine." HomePod - "Excuse me. I am created by Apple therefor I am superior and you are obsolete." Echo - "Who rattled your mesh. This is a private conversation so stop listening to every word we say."